In light of Syrian president Bashar Al-Assad and his allies having consolidated power over 65% of Syrian territory, the Gulf states are re-examining their national security interests in the country. In this new context, Russia has become the major influence over Syria’s political future. In order to secure their interests in post-war Syria, Arab Gulf states have had to acquiesce to Russia’s agenda for the war-torn country, especially in light of U.S. withdrawal from Eastern Syria. At the same time, two factors motivate the likelihood reconciliation with Assad regime. First, the perceived Gulf leverage given Damascus’ need for Gulf states’ wealth to buoy its reconstruction fund, although it might face the obstacle of U.S. sanctions on the Syrian regime. Second is Moscow’s effort to reintegrate the Assad regime into the Arab world. Yet, some Arab Gulf states have deluded themselves that improved relations with Assad can counter Iran diplomatically, a goal they failed to achieve by supporting the armed Syrian opposition. Sectarian factors also played a role in this decision. In terms of both size and population, Syria is the largest state in the Levant and consists of a Sunni majority population ruled by a minority government aligned closely with Iran, this further contributes to Shiite-Sunni sectarian tensions in the Gulf. Consequently, Arab Gulf states national security interests in Damascus may have superseded any personal dislike for the Syrian President and his cozy relationship with Iran that had guided the previous relationship. For the last eight years, most Arab Gulf states have to varying degrees used financial support and diplomacy to remove the Syrian strongman and Iranian ally. However, over these same eight years, significant changes in the region, as well as developments on the international stage have perhaps ripened the conditions for a rapprochement between these once-enemies. The majority of Gulf states have played a critical role in the Syrian crisis since the uprising began. While Oman stayed neutral, Qatar, Saudi Arabia and UAE joined Turkey in supporting the Syrian opposition via financial and diplomatic backing. Also, Yemen, Kuwait and Bahrain lined up behind Saudi Arabia efforts with less direct support of the Syrian opposition. Iran and Iraq backed the regime with arms and militiamen. However, in what can now justifiably be labeled a proxy war between regional rivals, the backing of differing opposition groups in Syria has contributed to what is now an exposed rift between UAE/KSA on one side, and Qatar on the other. This rift among the GCC states created two axes of power in GCC support of the Syrian opposition. The first is Qatari, in alliance with Turkish military and intelligence capacities, and the second is Saudi and Emirati but with lesser influence on the ground and more on the international arena. The contrast between Doha and Riyadh in Syria was growing and continued until Summer 2018 when Riyadh pledged financial support for the reconstruction of Kurdish-controlled areas, rivals for opposition groups backed by Ankara and Doha. However, the rift between Qatar and KSA in Syria was obvious as early as 2014, before the “Geneva 2” conference, at which Riyadh and Doha competed in influencing the Syrian opposition’s decision about attendance as well as any possible concessions/gains to be made during the talks. Among the armed opposition groups themselves, Qatar’s influence outweighed that of its UAE/Saudi Arabia counterparts. However, in the international arena and among European countries and the USA, Saudi Arabia was able to more strongly garner support. After years of slow advances on the ground by opposition groups backed by Ankara, Doha, and Riyadh against the Syrian regime and Iranian militias, Russian intervention changed the game in favor of Assad forces. Until Russia’s direct 2015 military intervention in Syria, Saudi Arabia, Qatar, Turkey, and Iran were the primary foreign countries holding the highest stakes in the nation. Moscow’s entrance and alliance with Assad’s army and Iran’s proxy militias made Russia (not any Gulf states) the dominant power in the country regardless of which side other outside nations supported. Despite the U.S. involvement in Syria beginning of June 2014, Russia remained the dominant power because Washington limited its military operation against ISIS militants by aligning with armed Kurdish groups, and refrained from military intervention in the fight between Assad and the armed opposition. Russian preeminence in Syria was reinforced with the commencement of the Astana de-escalation agreement process, gradually stripping Riyadh and Doha of their influence within Syrian opposition-controlled areas. Assad’s forces and their allies regained control of rebel areas, either via de-escalation agreements reached in Astana, or via massive Russian airpower and Iranian-backed militias on the ground. Meanwhile, Russia consolidated its influence by limiting the de-escalation process to agreements with Ankara and Tehran. Even with Qatar’s strategic Turkish alliance and KSA’s regional weight, to their detriment both Riyadh and Doha failed to secure a role in Astana agreements. In 2018 Riyadh even failed to get a stronger role in the areas controlled by U.S.-backed Kurdish groups despite paying $100 million for the stabilization and reconstruction of these areas. Contributing to this failure was a fracture within the GCC that froze Syrian-liaison channels and hindered forming a joint policy. This resulted in more Iranian and Turkish advances in Syria. The new situation made Moscow the gatekeeper for any nation wishing to participate in the resolution of the Syrian crisis, including the previously influential Arab Gulf states. While Qatar and Saudi Arabia had the leading role in supporting the Syrian opposition, the UAE played a less obvious role, by supporting the Saudi efforts. Despite this support, on several occasions, Abu Dhabi differed from Riyadh as it related to Bashar Al-Assad’s role in Syria’s future. Despite supporting different opposition groups, the Saudis arguably had a crisis resolution perspective that resonated with the Qataris better than the Emiratis. For instance, Abu Dhabi differed from Riyadh concerning the ambiguities over Assad’s role that had not been clarified in UN Security Council Resolution 2254. While Riyadh had insisted there was no role for Assad in the transitional government, UAE Minister of State for Foreign Affairs Anwar Gargash said in December 2015 that his country does not want to create a political vacuum by completely dismantling Syria’s institutions. He stressed the need for a transitional phase, implying that Assad would play a part in Syria’s post-conflict future. This position was evocative of Moscow’s, which refused to make Assad’s fate crucial to the transitional government’s beginnings. 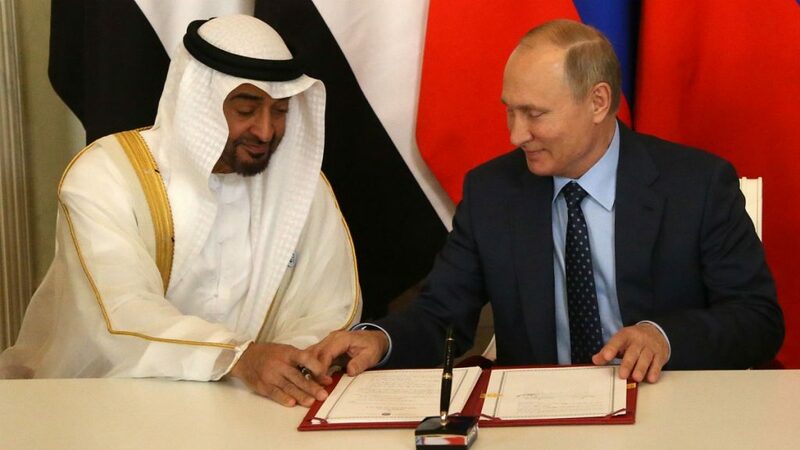 In an additional sign of agreement, The UAE described the Russian bombardment of ISIS at the beginning of Moscow’s entrance into Syria as the “bombing of a mutual enemy,” implying Emirati acceptance of Russia’s intervention. However subtle, this support distinguished the UAE’s position from Saudi Arabia. 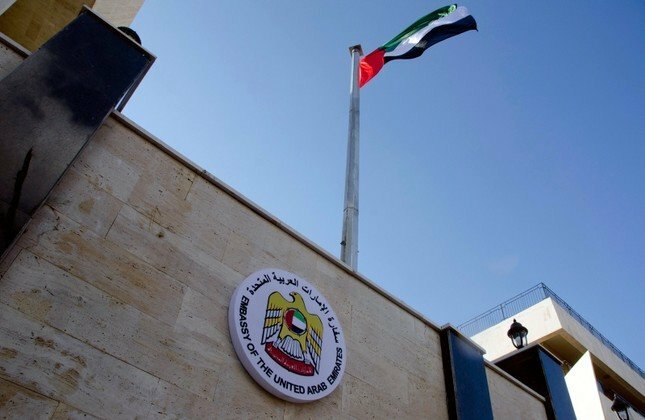 Further, Abu Dhabi refused to sign a joint statement agreed to by Saudi Arabia, Qatar, and Turkey, in addition to the US, UK, Germany, and France calling on Russia to stop targeting Syrian opposition groups and civilians. Alongside these splits, a main controversy occurred when Washington announced sanctions against an Emirati company for supplying the Syrian regime with oil products. The U.S. announcement argued the fuel was probably used in the Syrian government jets that targeted civilian areas. Additionally, the summer of 2015 was marked by press reports in which Gulf region diplomatic sources highlighted differences between Saudi and Emirati priorities and policies toward the Syrian regime, especially as it related to support and funding of armed opposition groups. The GCC states’ conflicting agendas have worsened due to a lack of an assertive American policy and strategy toward Syria, most recently evidenced by President Trump’s decision to withdraw from Syria despite implications on U.S. allies. Four and a half years after the U.S. intervention in Syria to counter ISIS, Trump announced intentions of American withdrawal in December 2018. The decision was controversial in Washington, causing a bipartisan storm and leading to the resignation of the Secretary of Defense. Giving away its last cards in Syria, the U.S. lost any possible role along with its allies in crafting a final settlement that benefits its interests and those of its allies. With this in mind, Abu Dhabi and Manama have decided to accelerate the resumption of relations with the Syrian regime. A possible American withdrawal has apparently also impacted Baghdad, as for the first time since 1990 there is chatter indicating Iraq is considering using military force outside its borders. Iraqi Prime Minister Adel Abdul Mehdi said all options are on the table to defend Iraq’s security against the expected resurgence of the Islamic State after U.S. troops withdrawal. Considering Baghdad’s warm relations with Assad, any Iraqi intervention would almost certainly be in coordination with the Syrian regime. Additionally, there is no doubt that an American absence will strengthen the Iranian, Russian and Turkish guarantors of the Astana process’s final settlement in Syria. This outcome would probably jeopardize Arab Gulf states national security interests in the long term, mainly if they miss out on any future role in Syria’s reconstruction because of the U.S. sanctions on the Syrian regime. Despite a series of losses for some Arab Gulf states in the Syrian arena, GCC states have a chance to influence a final settlement even with Syria’s falling into Russia’s orbit. Since the consolidation of its power, Moscow has worked to reintegrate Assad into the international community by appealing to regional neighbors that can contribute to reconstruction. Moscow has stronger relations with Arab nations than those of Iran, is apt for such a role. Additionally, Tehran lacks the ability to contribute to reconstruction due to its current economic crisis caused by the renewed U.S. sanctions. Moscow sees the resumption of economic activities in Syria as vital for providing stability, especially for the over 70% of Syrians who live in extreme poverty. Therefore, the Arab Gulf states’ ability to withhold financial investment in Syria’s reconstruction and revive Damascus’ economy is important for Russia and could be their best chance to preserve their national interests in any Syrian peace plan. Ultimately, Moscow is seeking to establish a stable Syria to stand as an example of a successful Russian intervention in the Middle East in contrast with a history of American miscalculations. While Oman and Kuwait have an easier path to pursue restoration of relations with Damascus; Doha, Ankara, and Riyadh are in a more difficult position because of their previous support of the opposition. For Turkey and Qatar, (which previously maintained the warmest relations with Assad than any other country in the region), the highly personalized nature of relations between undemocratic governments will make it more difficult for Assad to resume channels with these former allies. However, for Doha and Ankara, Russian or Iranian mediation might provide a channel for reconciliation. Also, the US withdrawal from Syria adds another factor motivating Damascus-Ankara detente, which would necessitate coordination between Iran, Turkey, and Russia in order to fill the vacuum. This coordination will involve the Syrian state, with Ankara and Tehran both actively working to stop Syrian Kurds from gaining autonomy east of the Euphrates. Meanwhile, Riyadh and Abu Dhabi can restore their relations with Damascus directly as demonstrated by Abu Dhabi’s move to reopen its embassy. Also, Egyptian mediation could aid warming of relations via the channels Cairo has reopened with the Syrian regime since the arrival of president Abdelfattah El-Sisi in 2013. 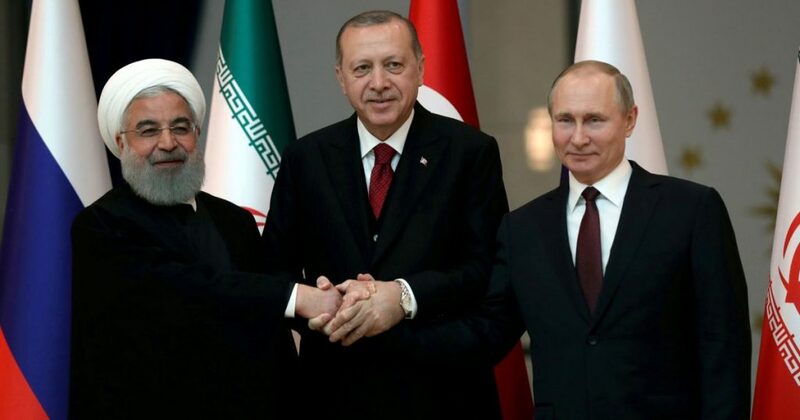 Nevertheless, the Russian, Iranian and Turkish monopoly over Syria will not easily allow a role for the Arab Gulf states in Syria, mainly in the aftermath of U.S. withdrawal. Overall, the Arab Gulf states never had a unified Syria-crisis policy, nor do they seem to be formulating one amidst the chaotic situation’s final stages. Given the involvement of extra-regional players such as Turkey, Iran, and Russia, the absence of the United States will become all the more palpable for a GCC that’s security is intimately tied to the stable emergence of its northern neighbor. Assad’s apparent victory has created a new geopolitical situation which will likely increase discord among GCC states and intensify a geopolitical rivalry that began with the Arab Spring. The main characteristic of the current phase is an apparent change in Gulf states’ politics concerning Syria, which may result in new policies geared toward influencing any final Syrian political settlement. Such a goal might create a new round of competition between Riyadh, Abu Dhabi and Doha as each seeks to heighten its influence in Syria through funding reconstruction. This will probably lead to a decrease of GCC’s influence on the final resolution of the Syrian crisis. Jessica Donati. “Saudi Arabia to Contribute $100 Million to U.S.-Backed Efforts in Syria”. WSJ. August 17, 2018. “الإمارات مستعدة للمشاركة في مكافحة الإرهاب”. AlMaydeen. December 2, 2015. “UAE and disagreements with Saudi Arabia: against the “overthrow” of Bashar Assad and closer to the Moscow formula.” Rai Al Youm. July 11, 2015. Accessed December 01, 2017. http://www.raialyoum.com/?p=285769. Giorgio Cafiero. “US-Gulf tensions mount over restrictions on Syria reconstruction”. Al-monitor. January 27, 2019. Christopher Phillips “Bashar al-Assad’s international rehabilitation has begun”. The Washington Post. January 5, 2018.